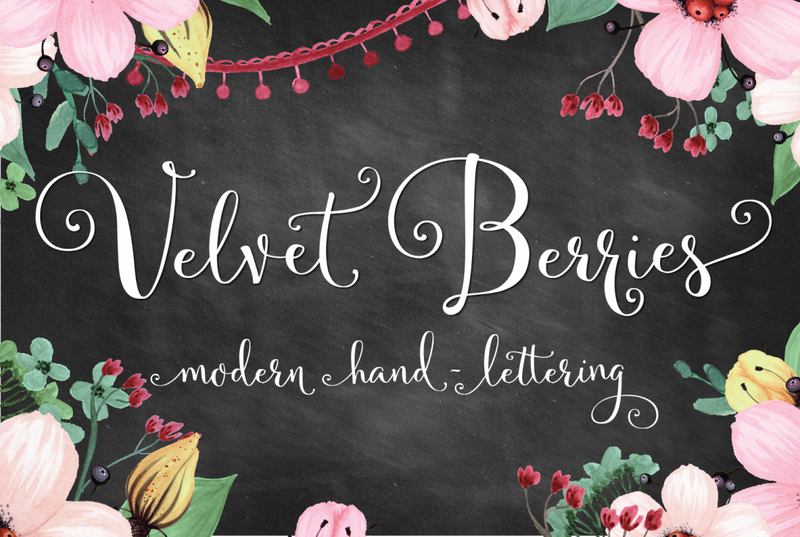 Introducing Velvetberries!. 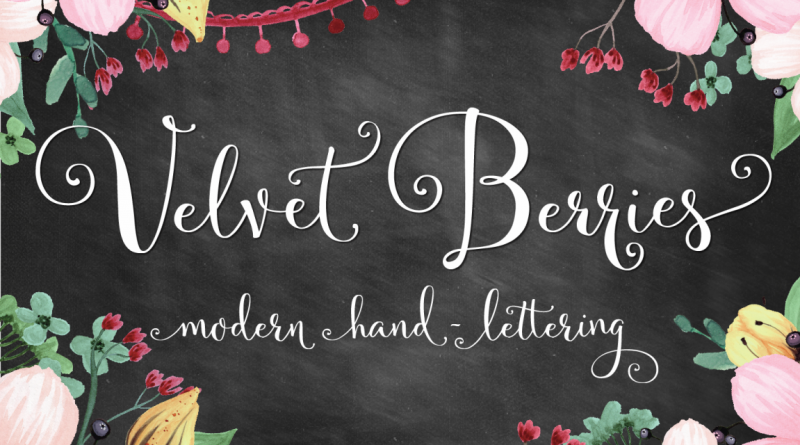 A modern spin on classic hand-lettered calligraphy. Warm inviting characters you’ll use through all seasons, weddings, showers, logos, holidays and more! It’s super easy to use. Just highlight the letter you want to change and choose Left or Right. Many of the alternates have swirls that dip below the baseline and will fit nicely in the middle of the words. too! ALT-files work the same way. Just highlight the letter and choose the alternate key from the file of choice. Trọn bộ: 5 font – MUA NGAY!